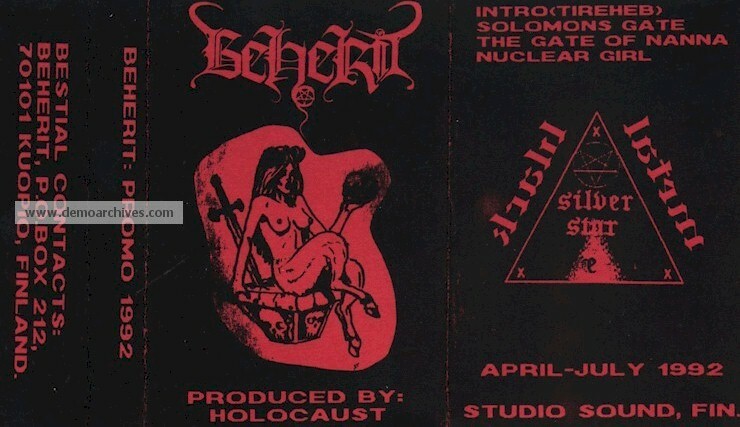 Beherit was a black metal band from Finland. The band was formed in 1989 by Nuclear Holocausto (Marko Laiho) and Daemon Fornication, with the purpose of performing "the most primitive, savage, hell-obsessed black metal imaginable. 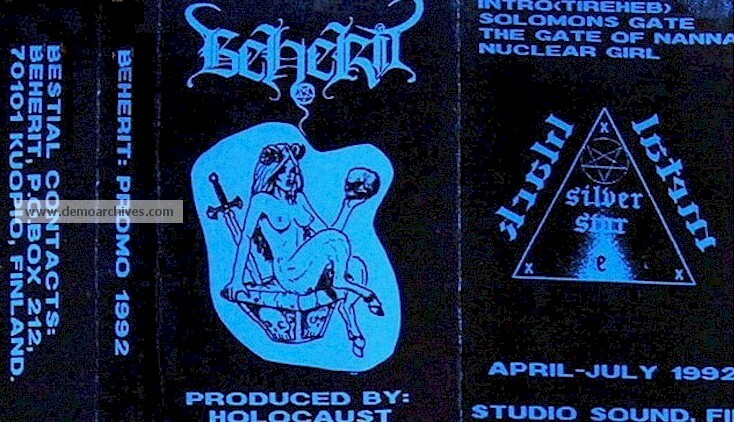 The band released three demos the following year; Seventh Blasphemy, Morbid Rehearsals and Demonomancy, and also gathered reputation for their live shows, which included pig heads and goats on stage. "Beherit" is the Syriac word for Satan. Through the noncommercial nature of their music, visuals and live performances, the band quickly attracted a cult following. Besides for the "raw" sound, the band's music is noted for its avant-garde side and emphasis on atmosphere. 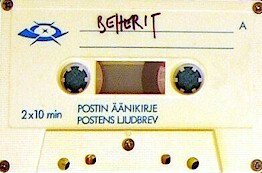 Beherit are now regarded as a pioneer in their genre. Sodomatic Slaughter (Jari Pirinen) joined Nuclear Holocausto (Marko Laiho) and Daemon Fornication, shortly after the forming of Beherit. 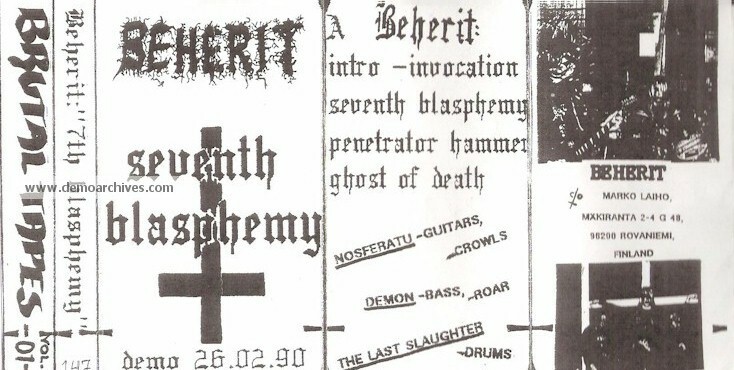 As a full band, Beherit released two full-length albums and many demos of raw and minimalist black metal. They disbanded soon after the release of the experimental 1993 album Drawing Down the Moon, which is now considered a classic of the genre. Laiho, the group's mainman, continued as a solo project and released two more albums under the band's name, H418ov21.C in 1994 and Electric Doom Synthesis in 1995. Regular paper Xeroxed covers. Recorded on regular tapes. Regular paper Xeroxed covers. Recorded on regular tapes. Green covers exist as well. Regular paper Xeroxed covers. Recorded on regular tapes. Yellow and Blue covers exist.